3101 E. 55th, Cleveland, Oh. 3984 Mayfield Rd, Cleveland Hts, Oh. LIVE/ONLINE COMMERCIAL TRUCKS, SIGNS, INDUSTRIAL MACHINERY, VINTAGE LIGHT AUCTION - Cleveland, Oh. Quarterly Consignment Auction - Warrensville Hts. Live/Online Absolute Industrial Auction- Exodus Mold & Machine Inc. Lawn & Garden Consignment Auction Mar 26th, 2016 - Warrensville Hts. Annual Christmas Tool & Consignment Auction Dec 19th, 2015 - Warrensville Hts. Astro Manuf. Inc. -Industrial Machinery, Tooling Dec 8th, 2015 - Eastlake. Trucks, Equip, Machinery, Scrap Nov 6th, 2015 - Warren. Collector Cars, RC Planes, Machinery Nov 3rd, 2015 - Cleveland. Tools, Equip, New Retail, Appliances Oct 24th, 2015 - Bedford Hts. Trucks, Tractors, Equip, Tools, Machinery Sep 25th, 2015 - Eastlake. Tractors, Household, Collectibles Sep 18th, 2015 - Olmsted Falls. Collectible Motorcycles, Trucks, Tractors, Tools Aug 28th, 2015 - Sagamore Hills. Tools, Equip, Truck, Household Aug 15th, 2015 - Bedford Hts. Household, Antiques, Collectibles Aug 2nd, 2015 - University Hts. Tools, Appliances, Mowers, Vans, Household Jun 20th, 2015 - Bedford Hts. Tools, Landscaping Material, Truck, Mowers May 23rd, 2015 - Bedford Hts. 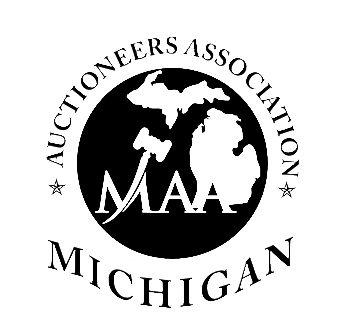 6th Annual Cuy County Lawn & Garden Auction Apr 18th, 2015 - Bedford Hts. Z & M Machining & Screw Co. Inc. Apr 9th , 2015- Macedonia. Window Pro Inc., Forklift, Backhoe, Windows, Supplies Feb 26th, 2015 - Middleburg Hts. Tools, Contractor Assets, Trucks Feb 21st, 2015 - Bedford Hts. Tools, Concrete Tooling, Household Jan 24th, 2015 - Bedford Hts. Cleveland Specialty Products Inventory Reduction Dec 16th, 2014 - Cleveland. Annual Christmas Tool and Consignment Dec 13th, 2014 -Bedford Hts. TEP Bedding/Mattress Factory Liquidation Dec 11th, 2014 -Orwell. Annual Thanksgiving Consignment Auction Nov 22nd, 2014 -Bedford Hts. 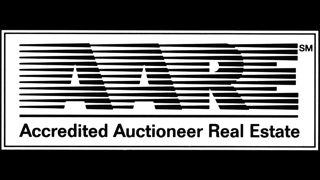 Pack Rat Delinquent Storage Auction Nov 21st, 2014 - Parma. Tools, Household Aug 30th, 2014 - Bedford Hts. Retail/Wholesale Jun 18th, 2014 - Bedford Hts. Retail/Wholesale Jun 11th, 2014 - Bedford Hts. Retail/Wholesale May 28th, 2014 - Bedford Hts. Retail/Wholesale May 21st, 2014 - Bedford Hts. Retail/Wholesale May 14th, 2014 - Bedford Hts. Tools, Household, Equip, Consignments Apr 26th, 2014 - Bedford Hts. 5th Annual Cuyahoga County Lawn/Garden Auction Apr 5th, 2014 - Bedford Hts. Wholesale, Tools, Household, Consignments Mar 15th, 2014 - Bedford Hts. Tools, Rest. Equip, Consignments, Materials Jan 25th, 2014 - Bedford Hts. Annual Christmas Auction, Retail/Tools Dec 14th, 2013 - Bedford Hts. Tools, Consignments, Retail Nov 16th, 2013 - Bedford Hts. National Display Company, Materials Nov 14th, 2013 - Cuyahoga Hts. Tools, Consignments, Retail Oct 26th, 2013 - Bedford Hts. Comm. Trucks, Trailers, Equipment Sep 24th, 2013 - Bedford Hts. Tools, Consignments, Retail Aug 17th, 2013 - Bedford Hts. Household Chattels/Furniture Jul 23rd, 2013 - Auburn Twp. Tools, Consignments, Retail Jul 20th, 2013 - Bedford Hts. Tools, Consignments, Retail May 18th, 2013 - Bedford Hts. Complete Model Train Museum Assets May 5th, 2013 - Bedford Hts. Tools, Consignments, Retail Apr 20th, 2013 - Bedford Hts. Annual Spring Lawn/Garden Apr 6th, 2013 - Bedford Hts. Tools, Household, Consignments Jan 19th, 2013 - Bedford Hts. Annual Christmas Auction #2 Dec 22nd, 2012 - Bedford Hts. Westlakes Auto Repair Shop Dec 19th, 2012 - Cleveland. Print Manafacturer & Supplies Dec 14th, 2012 - Charleston, WV. Annual Christmas Auction Dec 8th, 2012 - Bedford Hts. Tools, Household, Consignments Nov 17th, 2012 - Bedford Hts. Tools, Household, Consignments Oct 27th, 2012 - Bedford Hts. Tools, Household, Consignments Sep 28th, 2012 - Bedford Hts. Tools/Household Aug 25th, 2012 -Bedford Hts. Restaurant Equipment Aug 10th, 2012 - Cleveland. Bedford Hts., Consignment Auction Jul 28th, 2012 - Bedford Hts. Bedford Hts Consignment Auction Jun 30th, 2012 - Bedford Hts. Bedford Hts Consignment Auction May 26th, 2012 - Bedford Hts.